Moves can be both exciting and devasting, all at the same time! This is a complete, practical guide to help parents cope with and understand their children's feelings about the move and their new community. Be certain to let the children know about the move as soon as the decision is made. If there is a promotion involved, let them know that it will improve the family situation. Explain to each child, at his own level of communication, why the family will be moving, what the new area will be like, and how everyone will be working together to make things go smoothly. Accept their attitudes and encourage them to talk about how they feel. When you are preparing them for the move, be honest with them, and do not try to make up stories. 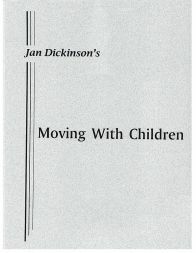 If the children have moved before, how they view this move will depend on the experience they had on the last move. Remember, their reactions may not be something they understand themselves, so be patient at all times. Always act with a positive attitude, and you will be amazed at the results and side benefits. The move will mean excitement, decisions and anticipation. It will give the family a chance to lean on one another and learn the fun of sharing plans for the new life ahead. While your style of parental guidance may be fixed during regular times, a relocation will require you to be more flexible than usual. Family interaction, where everyone has a chance to participate, will help you survive a move more easily than one where parents make all of the decisions without input from the children. When the children are told about the move, they need to know that the decision is made and not open to negotiation, but they should be given the opportunity to make some decisions and have some responsibility for the relocation. The children will feel more comfortable about the move if everything is done in a democratic manner and their thoughts and feelings are acknowledged and considered in making the decisions.